I hope I’m not boring you with all these Etsuko Furuya patchwork quilts. I know I’ve shown several of them in the past, but this is what I’ve been working on all week… lots of little squares, all rearranged into fun quilts! I love how each one is just slightly different, depending on which prints and solids are selected. I’ll be really sad when I run out of these older Echino prints, though I do love the new line – how about you? The boyish red/green/mustard one is already spoken for, but the other two are listed in the shop! This entry was posted in [search] Charm Quilts, 2010 Finished Quilts, Finished Quilts, Posts about Quilts, Quilts and tagged baby quilts, boy quilt, Echino, Etsuko Furuya, girl quilt, handmade, linen, modern, patchwork, quilt, quilting. Bookmark the permalink. These are all beautiful! I love the purple one! Incorporating the solids was a great idea! I love those! I have those scooters and really need to use them. I’m not as crazy about the new line though. I’m not bored of them, I love them! I am inspired by all these beautiful patchwork squares! who could be bored looking at those?!? They are gorgeous, if you make 50 more I want to see them all! Your photos are so inspiring. 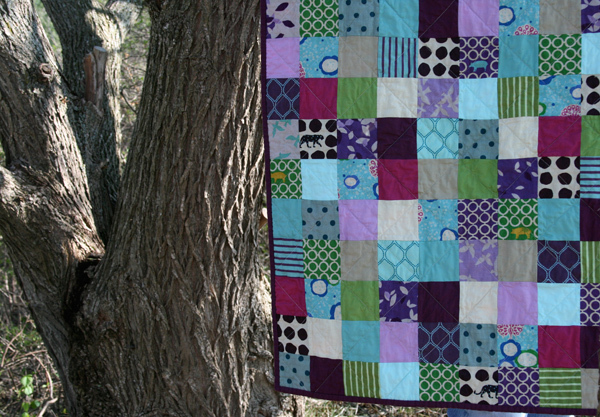 I love the purple and aqua quilt (I love them all) How could anyone possible tire of these fabrics? I can’t imaging. Although I love many different quilt squares, these patchwork are always my favourite! Simple & beautiful! I like them. Simple shapes showcase the fabrics the best. Nice work. These are wonderful. Some times, simple is best. Um, bored? NEVER! I have a limitless attention span for these prints. These quilts are fun and fabulous. I like every colorway! They’re really great. I agree that sometimes simple is best. Nunca me canso de ver estos edredones. Como todas pienso que menos (por simple) es mÃ¡s. Me encantan los dos Ãºltimos parece que las telas tienen su propia canciÃ³n en la armonia. I really like each one. And I agree with you, the new line is really awesome. I would like to bunch all of my Echino into a pile and roll around in it, so no, I’m not bored of looking at your beautiful patchwork quilts! Love these! 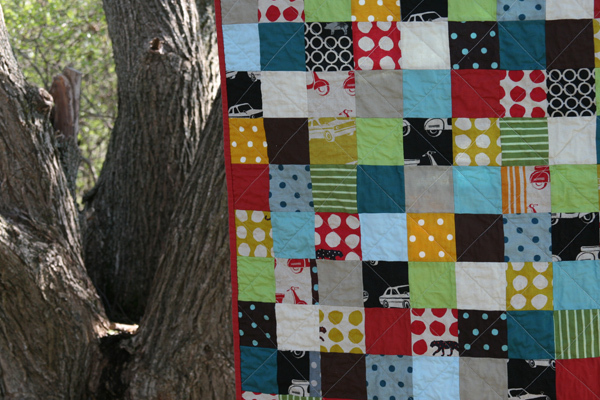 I’m always so surprised that a simple patchwork quilt can look SO awesome. Thanks for the inspiration! ashley, everytime i see your beautiful enchino patchwork quilts, I want to pull out all the prints I have in my stash and start cutting, sewing and quilting them. i am using all forms of self control to stop myself until some of my other projects in process are done!! I love all of them! You are a quilting machine! They are beautiful! 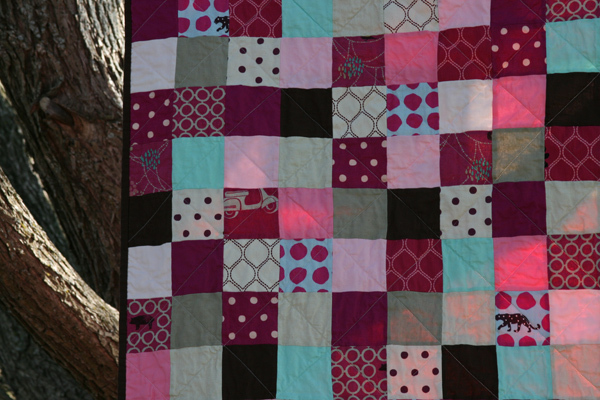 I love them – the only problem is that they look so nice together that I’d want to make three and hang onto them all, and our house definitely doesn’t need three more quilts! Wow, wow, wow! 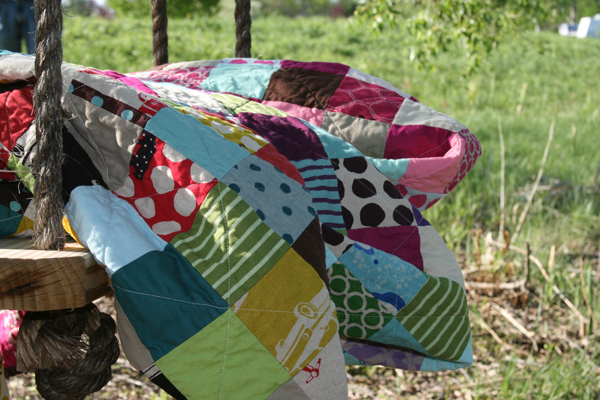 I love how your patchwork quilts always looks so good! These quilts are by far my favorite ones. In fact you inspired me to finally use some of my fabric from her and I used it in a recent quilt. I decided to use large pieces of fabric for the quilt because I loved the design to much. The panthers & pigs one is awesome. Gorgeous! I love patchwork so pretty in all its simplicity! I would never tire of these! Gorgeous 🙂 I’m in love with the new line too …. though the scooters will always have a special spot in my heart! please don’t stop showing them to us! i love seeing all your quilts… and even if it’s the same concept each quilt is so beautiful and unique! 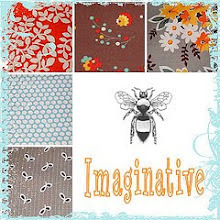 I really like these fabrics and your quilts look great. Oh my, you’re not boring us! Your blog is always a wonderful shot of colour & inspiration each day. I’m with you – I love how each one has a personality of its own depending on your fabric combination. Keep them coming! How could you possibly bore us? They are stunning and you are an inspiration. BORE US?! ARE YOU FLIPPING SERIOUS?! Your quilts are a MAJOR source of inspiration for me! 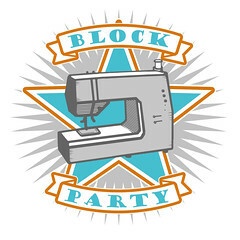 And your patchworks are the reason I am going to ATTEMPT to do one for my next (only my 2nd overall) quilt project! Beautiful quilts! I love your color combinations and patterns. I don’t think these look the same as your previous ones. I still love them, especially the girly version. Will have to check out the new Echino line since I don’t own any. OH! I love the boyish one! 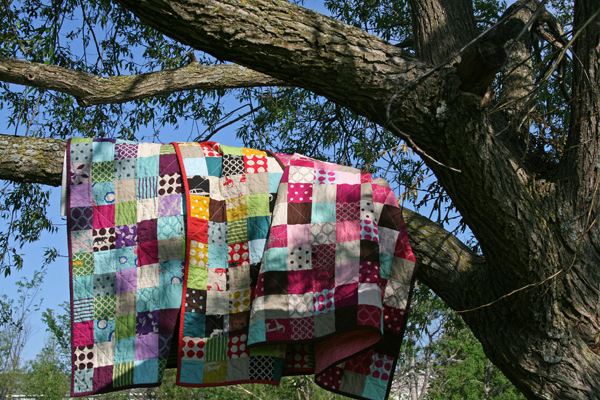 I love patchwork quilts and yours are fabulous! They look soooo comfy. I WANT THEM. NOW. 🙂 You did a really good job. I’m pretty new to quilting (I’ve only made one quilt so far, but have been sewing for quite a while)…but I just LOVE the look of patchwork. Any tips/suggestions on how to get started with a patchwork quilt? Or should I just gather my fabrics and start in on it?